Jennifer founded Lighting Application Sciences, LLC in 2000 to provide lighting manufacturers and sales representatives out-of-house photometric services. By 2007, Jennifer earned her Lighting Certification from the NCQLP. 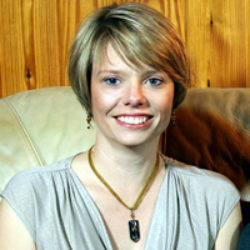 Jennifer became a member of the Illuminating Engineering Society in 1995. She has since served the Austin section leadership as President, Vice-President, Treasurer, and Secretary. She is currently the Education chair for the Austin section. Currently, she is the IES South Regional Director covering districts 3 and 4. Jennifer was the IES Annual Conference Committee Chair for 2012 and 2013; an advisory member for the 2014-2015 Conference steering committee. With 19 years of experience in lighting, Jennifer has established an outstanding reputation in the industry. Since 2008, Jennifer has been teaching AGi32 to manufacturers, sales reps, and engineers all over Texas as an Authorized AGi32 Instructor.